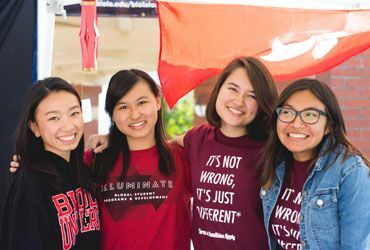 Our student leaders organize creative and inclusive events every semester to help global students thrive in a more globally-minded community. Examples include Wednesday Wake-up, Night of Thankfulness, Fall Festival, Global Voices Chapel, Meet the Neighbors, and Welcome Back Party, etc. Here are some pictures that will help you get a sense of the fun we can have together. Wednesday Wakeup appreciates a different culture every month at Fluor Fountain. Each event presents a culture through food, fun facts, stories, and other interactive activities unique to that culture. Night of Thankfulness is GSPD's annual Thanksgiving banquet. 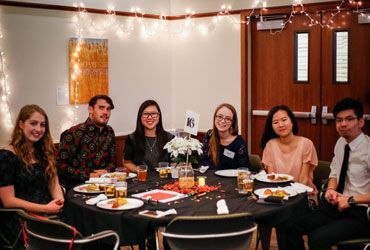 Each year we have a variety of ethnic food, games, stories, and a time of worship where students can give thanks to the Lord. 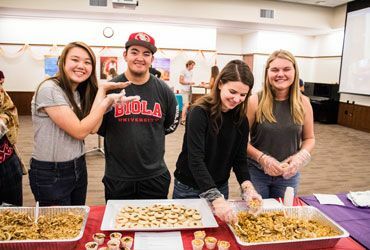 Fall Festival is a fun event in the beginning of Fall semester where students gather for sports, games, snacks and good conversations. Past fun we've had includes badminton, volleyball, and a pie eating contest. Global Voices Chapel takes place once every semester. 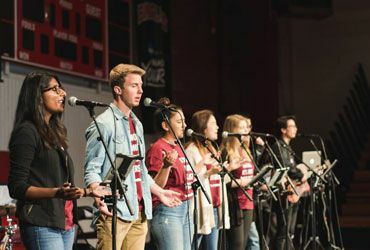 The Biola community comes together to join in multi-language worship and hear global students share their unique stories. Meet the Neighbors is a cooking contest between GSPD community groups where each group is assigned to cook food from a specific country and present that food at the event. Guests taste their creations and vote for the winner. 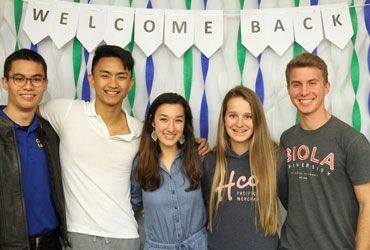 The Welcome Back Party takes place at the beginning of each semester. 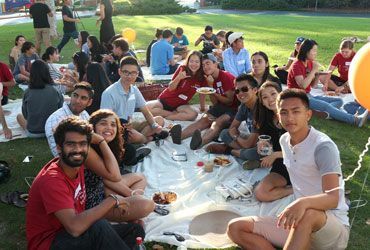 It is a time for global students to chill, mingle, and have fun together through games and snacks.